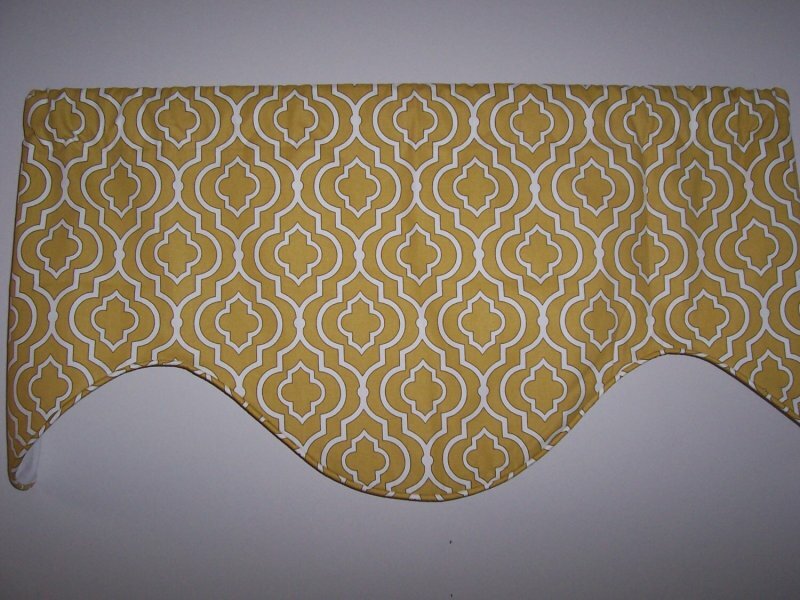 Beautiful deep scallop style custom valance in designer Mill Creek Donetta fabric. 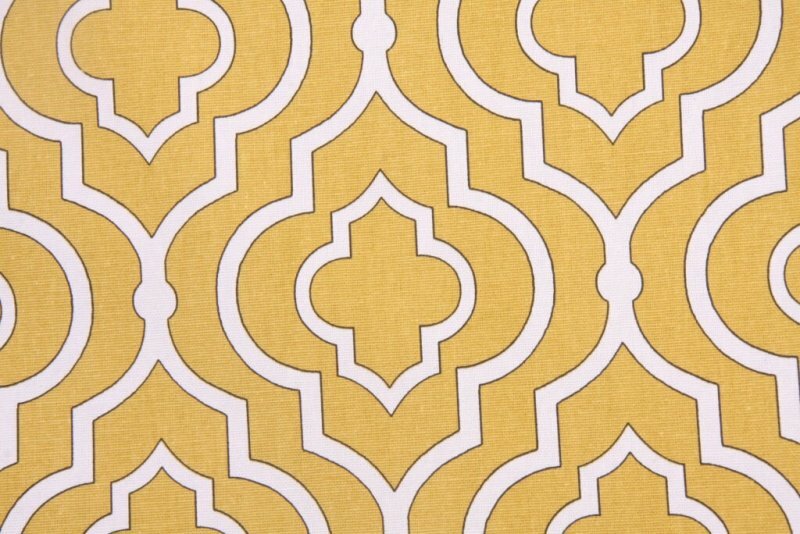 This fabric features a medium scale geometric design in white with black outline on a cornflower gold background. 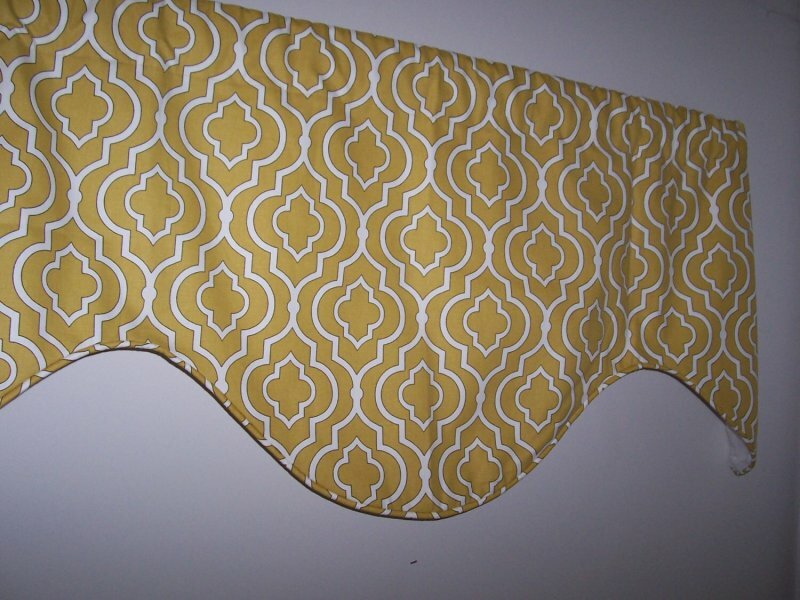 It is self corded: same fabric piping at hem.